Visible and yet personal, inner wrist tattoo designs are surging forward in popularity amongst tattoo enthusiasts everywhere. Getting a tattoo on your wrist means it's always there for you to see it, whenever you desire. 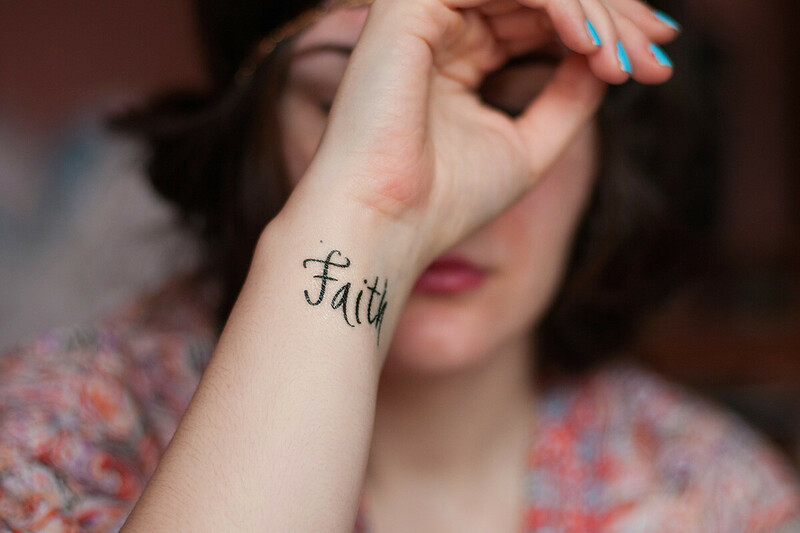 Having text or words tattooed on the inner wrist is gaining in popularity. The text is arranged so the bearer of the tattoos is able to read the writing by looking at her own arm, rather than displaying the text only where others can read it. These types of personal statements can be affirming, uplifting or sentimental in nature, like this wedding tattoo. Stars and other popular images take on new life on the inner wrist. The small size of the canvas encourages the artist to shrink a fully detailed design to the space. Intricate details or intense colors in one small spot make this tattoo area pop. In addition to being able to wrap a tattoo from the inner wrist around to the back of the wrist, tattoos begun down near the heel of the hand can travel upward. This lets a continuous image remain unbroken, like this peace tattoo depicting various religions. A barcode tattoo is an ironic statement for many who believe these marks are a part of the future. Getting one of these tattoos on your inner wrist lets you show off your sense of humor to the world. While detailed tattoos with painstaking detail can be sized down to fit the inner wrist, there is something to be said for simplicity. These two interlocked hearts on the inner wrist lack detail, but are charming in their simplicity. Because the inner wrist is an area that is frequently on display, it makes it the perfect place for a statement tattoo. This Straight Edge tattoo lets the world know what you're about, without any words being said. In addition to being seen by others, the inner wrist is one area that is also frequently seen by the wearer. Use this area for a personal statement that you want to keep close, such as this symbol for strength. Whether you want a character tattoo for yourself or for others to see, the long line of the inner wrist makes it the perfect place for this type of tattoo. Stack up several characters along the inner wrist and arm to get your meaning across. Butterfly tattoos are one of the most popular images around. Make yours a little edgier for this thin-skinned area of your arm by getting a tribal butterfly tattoo. A tribal butterfly can show off both your sweet and your tough sides at once, making it ideal for the hide-and-seek placement of the inner wrist.